It's not that often that I got the feeling that I want something and I want it now, but that was the feeling I got the first time i surfed in to this artist myspace page, here, i heard sugerman, a song I learned to love on one of David Holmes soundtrack albums, but this version kicked. The album is Weppeing Willows Magnsu Carlsons first trip into the Jazz scene. With a back of The Moon Ray Quintet he takes us on a jazz journey with his choice of tracks, You do something to me from Paul Weller and Riders in The Storm from The Doors to name two. 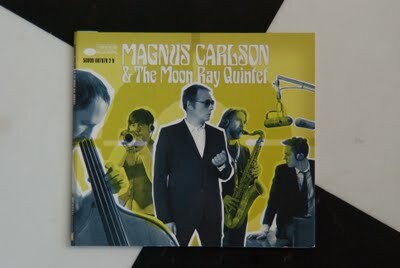 Magnus is an excellent singer and the band is tight and jazzy with a hammond groove that takes the album up to a higher level.